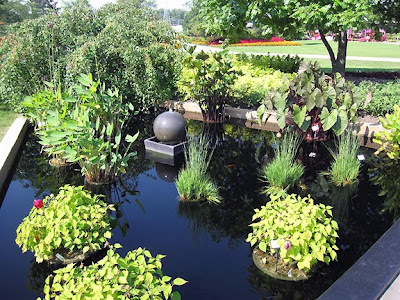 A Grand Day Out at Ball Horticultural Co.
Last month I enjoyed touring the gardens at Ball Horticultural Co. in West Chicago, Illinois, with Mr. Brown Thumb and Garden Girl. 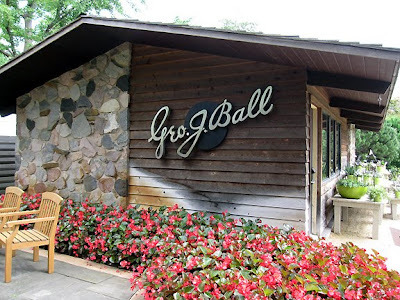 Ball was started in 1905 by George J. Ball and remains a family company today. 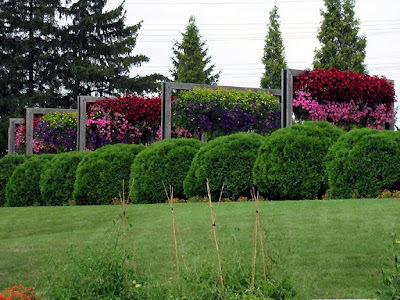 Ball breeds and distributes ornamental plants to wholesalers. 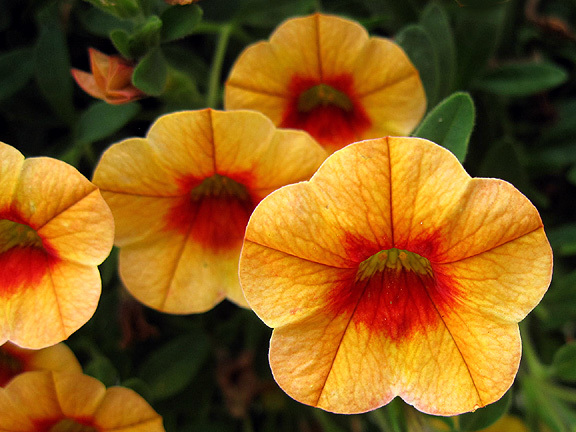 The Wave® petunia is one of its many plant introductions. Through its Burpee Home Gardens arm, it also offers vegetable seeds and plants. The grounds showcase new and recently introduced varieties of annuals, perennials, herbs, and vegetables. and abundance of insects! 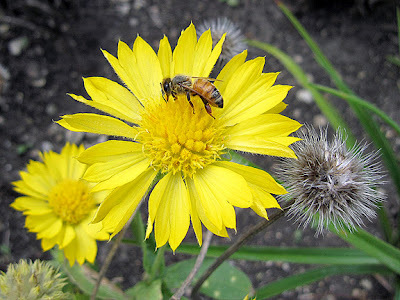 The bee looks so happy on the Gaillardia 'Mesa Yellow'. I also love the seed heads! 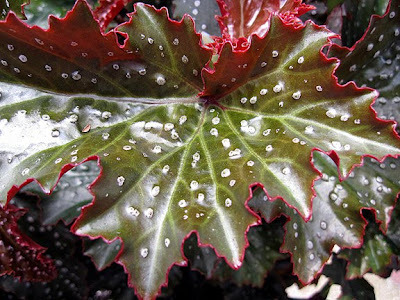 I took way too many photos, so I'm just going to share plants or colors that make me think of fall. The rows of Coleus in an earlier photo really set the mood! 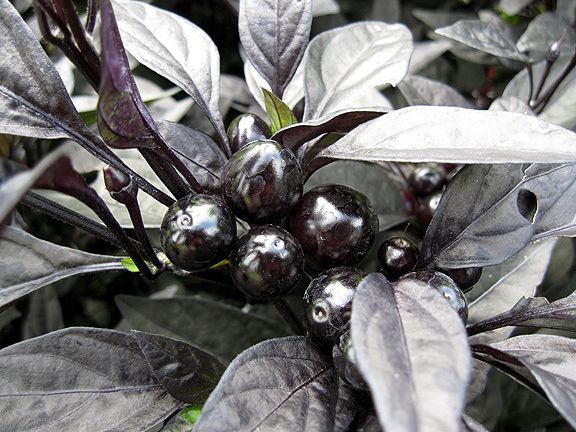 I love black plants and this ornamental pepper 'Black Pearl' is so dark the photo almost looks black and white. The flower color of this striking Celosia 'Intenz' screams hot summer, but the purple tinge in the foliage makes me think of fall. 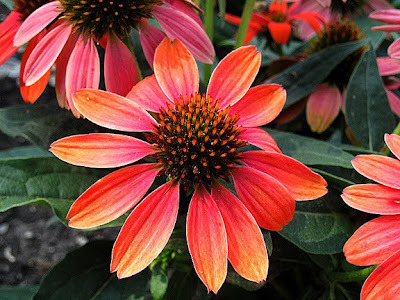 This vibrant Echinacea 'Sombrero Hot Coral' makes my heart sing. Many thanks to Katie Rotella of Ball for giving us a guided tour of the gardens, providing us with a free lunch, and hooking me up with a behind-the-scenes tour of Ball's seed processing facility (I'll do a separate post about that). Thanks also to Mr. Brown Thumb for arranging the tour! Thank you for the tour of the gardens through your eyes. Love the beautiful colors and yes I miss the Chicago weather... Sometimes.. keep up the excellent work!! Gorgeous! I like the green 'balls'. Such a great structure. I relate them to the name Ball too. How lucky to have toured this great facility. I had a fantastic time hanging out with you and MBT. Looking forward to your post on the seed lab. A lovely tour and great photos, Monica. Thank you for sharing. 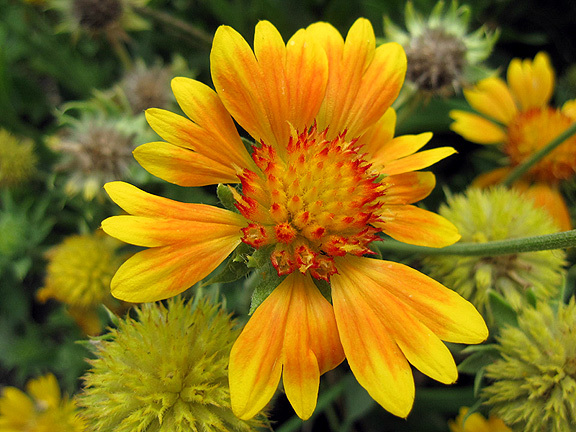 You are right, the seedheads of the Gaillardia are beautiful. I love the bloom and seedhead together. What a great place. Some lovely features. I love autumnal colours, don't you? What a place. Love those fall colors no matter how they are presented. Good to see you back in blogland. Monica, look at you blogging away. Your pics are all cool, but the pic of the cottage is particularly nice. I wish I had gotten one that nice in the times I'd gone to visit. Wow, that place looks AWESOME! Thanks for sharing so many pics - totally great inspiration here. This is why I keep adding more and more plants each year--seeing all these colors just makes me want to have one of each next year. 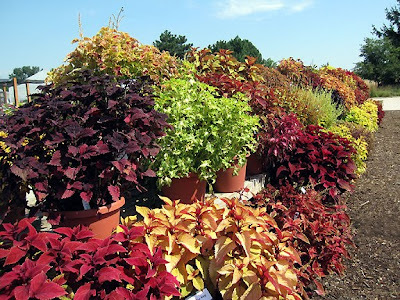 The coleus--gosh, I just love all the different foliage. Maybe I should plant a shady area with nothing but coleus? 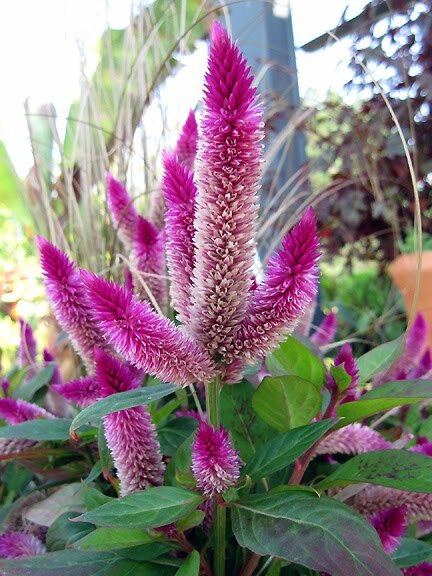 And thanks for including the celosia photo--I noticed a similar variety in the Nursing Home garden earlier this week, and it was so striking. I thought celosia were all just the short variety that are orange, red or yellow. Wow, da habt Ihr wirklich einen tollen Tag erlebt. Ganz besonders gefallen hat mir der schwarze Pfeffer. Habe die Pflanze noch nie in unserer Gegend gesehen, toll! 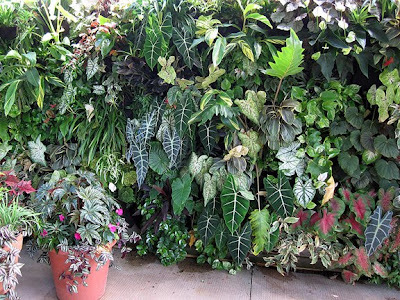 A lot of beautiful plants! I love the Black Pearl pepper. I think your beautyberry is C. dichotoma, judging from its semi-weeping habit. 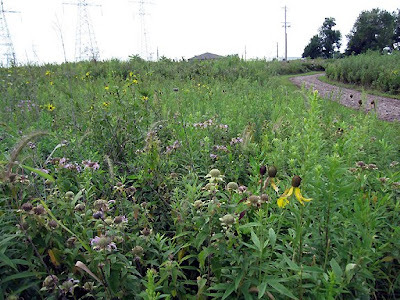 American beautberry has big leaves and big berries with no stems that are clustered directly around the branches. Thanks for the lovely tour, what a great place. I saw Celosia 'Intenz' at the farmers market cut flowers that it. Sound like a really nice garden tour. Love those pictures of plants, flowers and prairie garden. I haven't been in 20 years, but it looks fantastic today. Thanks for sharing. There is lots of inspiration in this post. I like the orange gallardia and the magenta Colosia 'Intenz' especially. Just buzzing in to see what is happening here b- head there was a bee photo. great site. 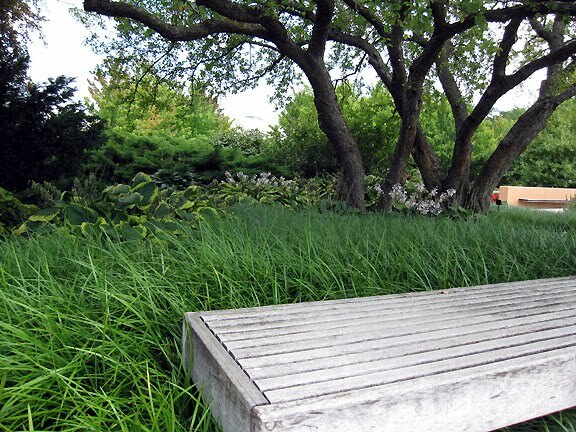 I love gardens and outdoors in general. I am in Australia where the spring is bringing all the native flowers out. Heaven.